When I saw Mystery Gensokyo: Tower of Desire -Reloaded-, I thought it’s main character looked familiar, but I couldn’t put my finger on why. 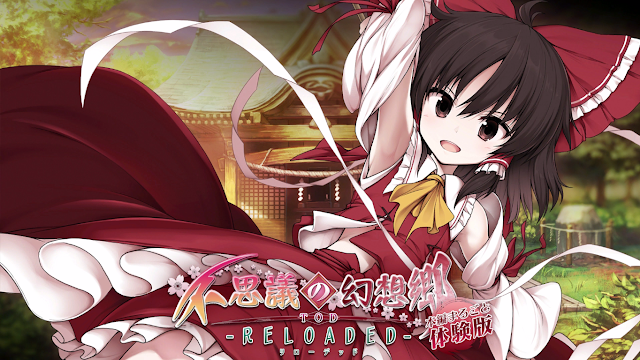 Turns out after doing some research, Mystery Gensokyo is the first Doujin spin-off style game I’ve played and despite having no experience with the genre or the Touhou series it was inspired by, TOD Reloaded doesn't seem like a bad place to start. With Roguelike gameplay that’s just the right amount of complicated and plenty of banter I could only halfway understand, Mystery Gensokyo TOD Reloaded was an interesting roguelike I'd like to get to know better. TOD Reloaded begins with a pretty but strange scene that sets up its premise. Main character and shrine maiden Reimu is curious about a mysterious gold ball her friend Rinnosuke is holding, but this ball ends up possessing him, causing Reimu to flee and make her way back to her shrine. It’s a quick scene that makes room for the roguelike gameplay exploration to start pretty quickly, arguably too quickly since the opening scene felt little vague, but nonetheless I enjoyed getting into the action almost immediately. If you’ve played any roguelike games such as Sorcery Saga or The Guided Fate Paradox, you’ll probably recognise the roguelike elements of TOD Reloaded just like I did. The language barrier wasn’t the simplest in story moments for me in this demo, but since TOD Reloaded uses mechanics typical of roguelike dungeon crawlers, I was able to pick up the mechanics quite quickly. 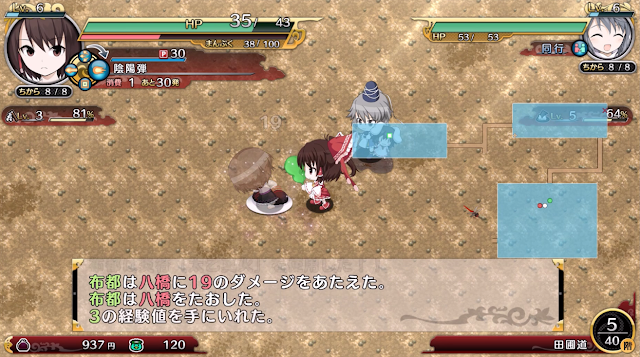 A few things made it an interesting and refined dungeon experience, such as having shortcut-ed special attacks to hit long range and in multiple directions or the ‘i’ function, exclusive to Reloaded, that speeds up movement speeds in long, curvy dungeon sections that prevents them from feeling long, leaving plenty of time to fight the amusingly moe-style enemies found in dungeons. I was able to travel through most floors in a short amount of time and partnered with the usual traps and equipment leveling often featured in this style of dungeon crawler, TOD Reloaded’s roguelike dungeons are something I’d like to spend more time with. While dungeons get straight to business, the story takes a bit more of a relaxed approach, with a lot of long banter sprinkled throughout. 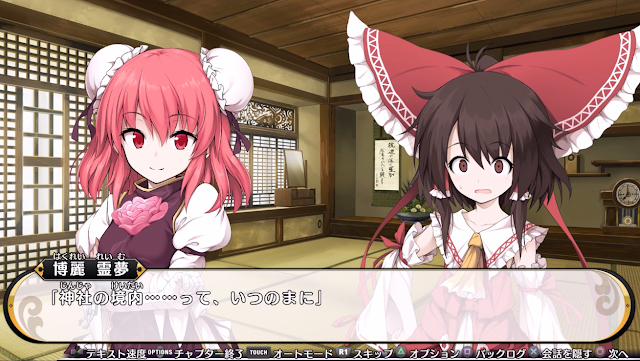 Moments of long character dialogue can be found almost everywhere you go in TOD Reloaded, probably to the delight of Touhou fans, but a little overwhelming for someone new to the series like myself, especially since my Japanese is okay at best. Characters met along the way had a lot to say and they seemed be quite humourous in their delivery most of the time, which I tend to enjoy in most JRPGs but perhaps the language barrier was a bit big for me with the talk about ghosts, shrines and references to cultural things I just wasn’t familiar with. I can imagine enjoying it in a localised version, so I’m curious to see if a Western version can tell me what I’m missing out on. Regardless, I did like seeing how much dialogue was even given to characters such as shop staff or random NPCs standing around in the pretty explorable little towns between dungeons and I think the moments have potential. Mystery Gensokyo TOD Reloaded is an interesting roguelike so far with some nice additions that make travelling through it’s dungeons very easy. Unleashing powerful attacks was easy and I found it fun quickly tearing through floors and watching my equipment level up while reaching my goal. Since I played in Japanese and haven't had much experience with the Touhou series, a lot of the humour and banter moments were probably lost on me, but with it’s good gameplay I’m curious to explore this aspect more if it ever comes out in English. My first doujin game experience with Mystery Gensokyo TOD Reloaded was just as good as original dungeon crawlers made by bigger developers, so I can definitely understand why more of these Touhou games are coming to the PSN in Japan and while I’m still more attracted to original stories, TOD Reloaded was an intriguing first look at this type of game. Will you play Mystery Gensokyo TOD Reloaded? What's your favourite roguelike?